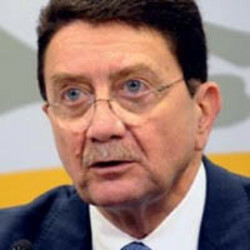 Taleb Rifai has served as the secretary-general of the World Tourism Organization since January 2010. Mr. Rifai has an extensive background in international and national public service, the private sector and academia. He was assistant director general of the International Labour Organization, held several ministerial portfolios in Jordan (Planning and International Cooperation, Information and Tourism and Antiquities), CEO of Jordan’s Cement Company, director of the Economic Mission to Washington and director general of the Investment Promotion Corporation of Jordan.